This device uses EPL2 and ZPL programming languages for easy and speedy integration. Capable of issuing up to 1600-4800 labels per day, it's made for heavy-duty printing. This model is only compatible with Windows OS. 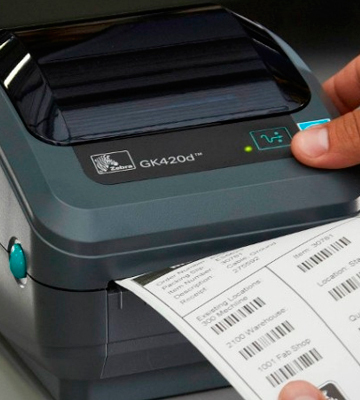 The Zebra GK420d printer will help you quickly type up thermal labels with barcodes. It's a compact and stylish device that will be well suitable for any type of business - small private enterprises, retail, office environments, medical facilities etc. Features an Auto-Cut function to swiftly and cleanly separate receipts from the tape without uneven edges. When the loader has an insufficient amount of paper, a signal sounds and an indicator lights up to warn the user. Can get overheated after lengthy and intensive use. This is an efficient device to aid your business in cutting down on downtime and printing receipts faster. It will be a reliable helper for taxi services, restaurants, stores, or small enterprises. The durable accumulator on this LESHP model can keep working autonomously for up to 5-6 days in a standby mode. The instructions manual is not very informative. The LESHP thermal printer combines productivity and reliability in one affordable package. 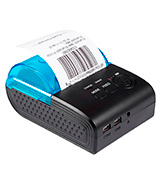 The Bluetooth connection guarantees fast printing via your mobile device using the cash register tape. 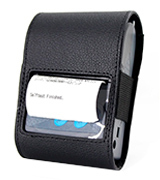 The device comes with a leather pouch fitted with a buckle to free up your hands. The printer is easy to use and service. The driver installation process is comparatively long. The Alacrity print device is an optimal choice for receipts, bills, tickets etc with a width of 58 mm. It works nearly silently and doesn't need to be refuelled with ink. The availability of several interfaces allows to easily integrate the device into any cash register system. You might have issues connecting it to some Android phones/tablets. The portable thermal printer from Koolertron is an easy option for fast and high-quality printing of documents. 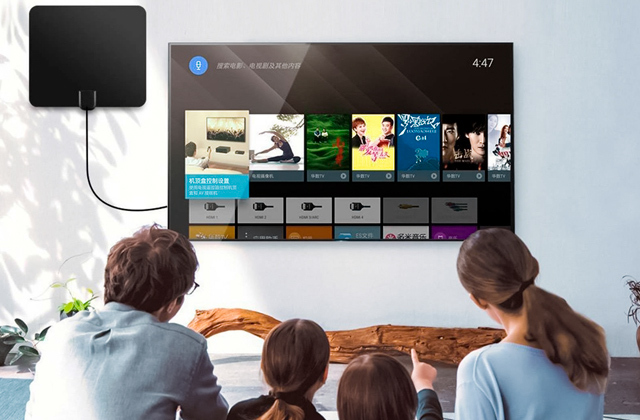 The gadget can be connected to a PC, tablet, or phone. As long as you want to make your business as efficient and smooth running as possible, it only makes sense to get the best thermal printer. Getting the Zebra GK42-202520-000, a label machine that works cleanly and quickly will be a huge plus and a timesaver. This device runs at 127 mm/sec, a solid rate that will be more than enough for you to make as many labels, receipts, or tickets as you need. Using this model you can print out barcodes or thermal labels in huge volumes, as many as up to 4800 per day. That is not just enough for any business, it’s a stellar number and, if you ever have an emergency, this speedy output can save you like nothing else. It is a shame that the Zebra GK42-202520-000 uses only the Windows operating system but, really, Android and iOS are only a priority for portable models, whereas this one is stationary. Just connect the devices via USB (a cord is included with your purchase) and integrate your printer. The process uses EPL2/ZPL languages, which means that it will be fast, simple, and go off without a hitch. No professional help or large instruction manuals required. This Zebra thermal printer is a real treat for anyone swamped with printing duties and looking for a way to make them easy. And, if you need to print out some documents to go with labels, check out these wireless printers. Not only does the Zebra GK42-202520-000 work fast, it’s also incredibly easy to maintain. The paper roll loading system is simple and you can put in a new roll with no hassle after the previous one runs out. The gadget is designed to be easy to access and operate for any user, even an inexperienced one. 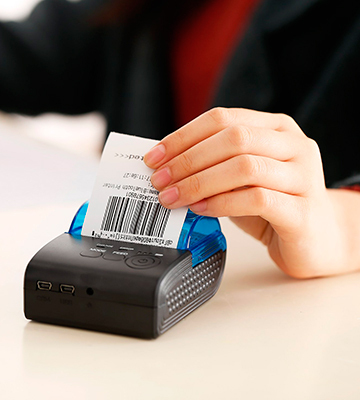 Moreover, this device can print labels, receipts, and tickets ranging from 19 mm up to 108 mm in width. This leaves a lot of room for adjustment and you can create any design you need with few restrictions. This versatile size will let you make a label that would fit a product just snugly without you having to cut or fold it. Plus, this machine is compatible with the Royal Mail standards and is, in fact, one of the models recommended for purchase by the service. The Zebra GK42-202520-000 lets you adhere to the Royal Mail’s requirements while still creating your own designs and labels swiftly and easily. You can’t go wrong with receipts printed on this device. Overall, this is the absolute best thermal receipt printer in the market thanks to its automatic calibration, easy setup process, fast printing speed, and the versatility in its settings. You can make any label, ticket, or receipt that you want and the size can be adjusted according to your preferences or any governmental or business standards. If you’re okay with getting a stationary thermal printer that you don’t need to carry around, it’s best to look for one with additional features that may be useful to you. 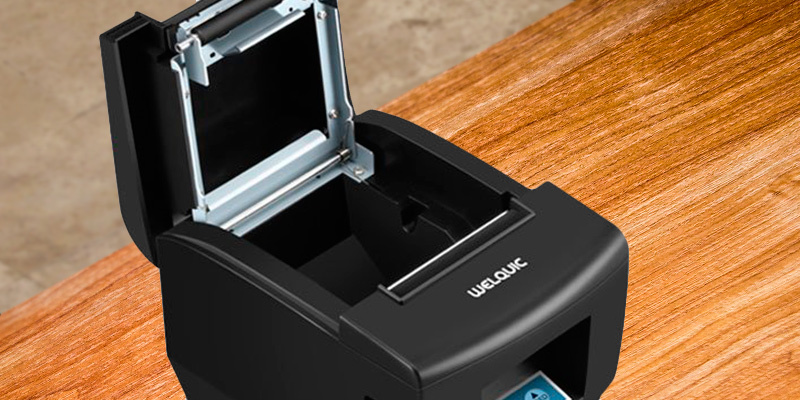 The WELQUIC Thermal Receipt Printer has several extra capabilities that can save you a lot of time and help out your business by making some of the processes automatic and, therefore, easy. First off, a precious feature that is not available on the lower-tier models is the automatic paper cutting. The gadget detects when a receipt is printed and cuts it off of the roll cleanly, leaving no jagged edges. This eliminates the need to tear off the printed materials by hand and the risk of ripping them. Second, this printer has a sound and light signal to show you when it has insufficient paper. 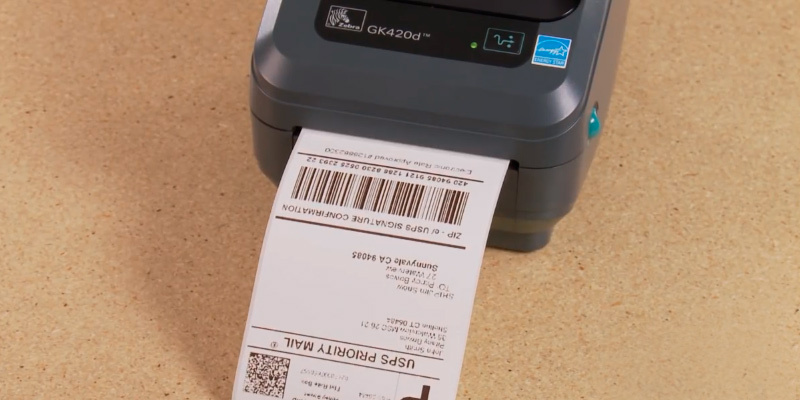 This prevents paper jams and receipts being printed halfway before the device just shuts off. These signals will let you know when to replace the roll so that you can streamline the printing process. However, don’t get carried away as the gadget needs to cool down a bit between long printing sessions or it might overheat. It’s nothing too serious and, if you’re just running a restaurant or need to print a ticket in a taxi service, you’ll be just fine. Just don’t treat this small printer as an industrial-grade machine. But what is a thermal printer that has all these handy features but doesn’t make it in terms of the standard options? Thankfully, the WELQUIC device is stellar not just in terms of automatisation and precautions, it also does well in the basic printing. 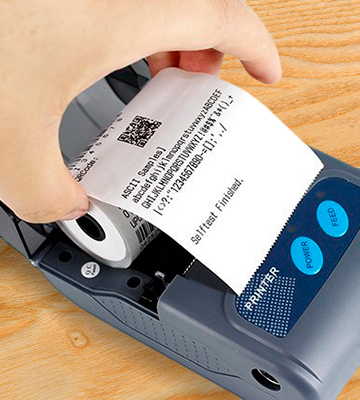 Using only 80 mm rolls, this gadget can put out receipts and tickets at 300 mm/sec easily and cleanly, cutting off one receipt and proceeding immediately to the next. 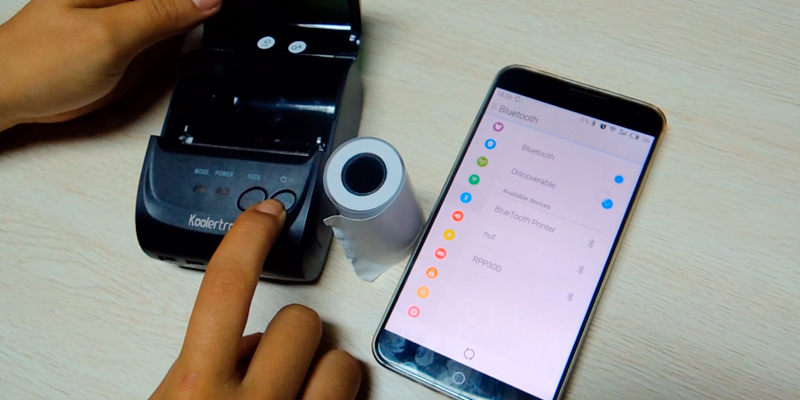 You can operate this small device via Windows, Android, or iOS and even use it to print barcodes, a feature that isn’t always available in the cheaper counterparts. Just connect the printer via USB, set up the drivers, and you’re good to go. 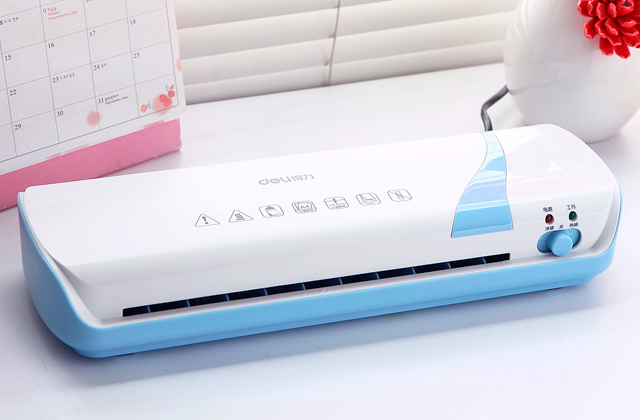 The paper roll is easy to replace, just press a button to open the cover, put in a roll, and close the cover. No need to use any tools or spend a long time trying to wrestle the roll in place. It’s also important to note that the machine supports Linux though it cannot be connected to Mac. If you have Linux installed on your regular PC, you can still use this printer for efficient and automatised receipt making. All in all, the WELQUIC Thermal Receipt Printer is one of the better choices in the market, filled with useful features and improving on the basics. A prudent businessman must be resourceful and know how to save money while still getting a reputable product. If you want to ensure that your money is well-spent, consider buying the LESHP Thermal Bluetooth Receipt Printer. Requiring no ribbon or ink cartridge, this device works efficiently and stably to maximise output and leave no room for error. 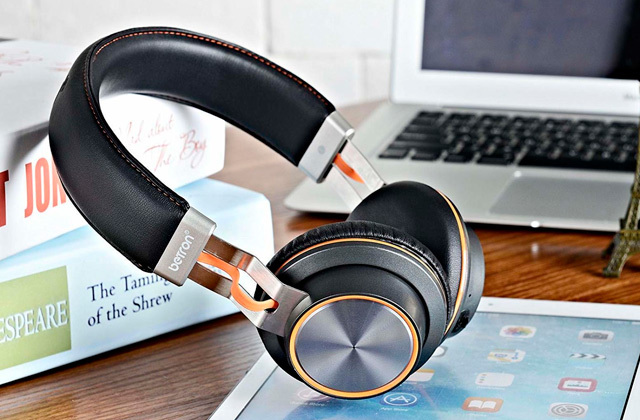 Armed with a high-power battery, this model will last up to 6 days in standby mode, so you can spend a whole workweek using it without the need to charge. This ensures higher portability, you can take this device with you in your car (useful for police services or taxi systems) or from venue to venue (if you are a distributor, selling products all over the city or even the county). Do note that you will have to either work the intricacies of the machine out by yourself or invite the help of a professional, as the instructions manual won’t be of much use. It’s not very informative and doesn’t give much of the necessary information. Using a skilled operator to help you set the device up and connect it to the required payment systems would likely be the best option. That way you get the LESHP wireless thermal printer running in no time and at minimal cost. This LESHP device can connect easily to iOS, Android, and Windows systems via Bluetooth, so you can use it without needing to physically attach it to another machine. You can make receipts or whatever else you may need at 90 mm/sec thanks to the thermal technology in this device. The manufacturer guarantees a 100 km reliability, which means that you’ll be able to use this printer for years with no worries. Just remember to set it up properly and use the correct software. As this is one of the cheapest options among the competition, the LESHP printer only takes 58 mm paper rolls, which means you can’t make bigger or smaller receipts that may be required in some services. However, you’ll be able to print images and logos and whatever else you want on the standard-size rolls. This model is also well-equipped to work outdoors. It has a resistance to humidity and cold/hot weather, so you can use it to print a parking ticket or a receipt even in the dead of winter or in the pouring rain. 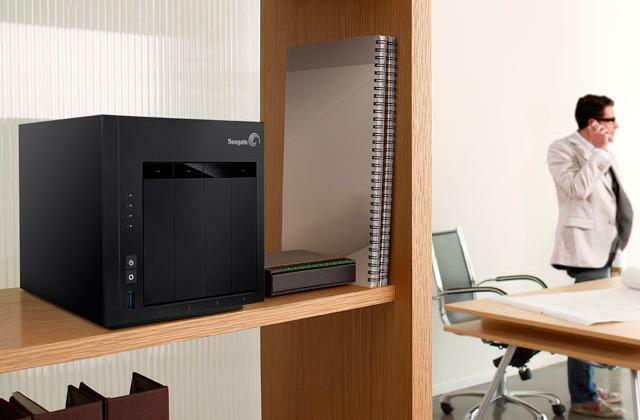 All you need is a controlling Bluetooth-fitted device, no extra accessories required to shield the printer from rain or the cold. A great match for our unruly weather! Overall, this is a decent choice for those that need a sturdy printer that can withstand poor weather conditions while making receipts, tickets, or checks quickly and cleanly. 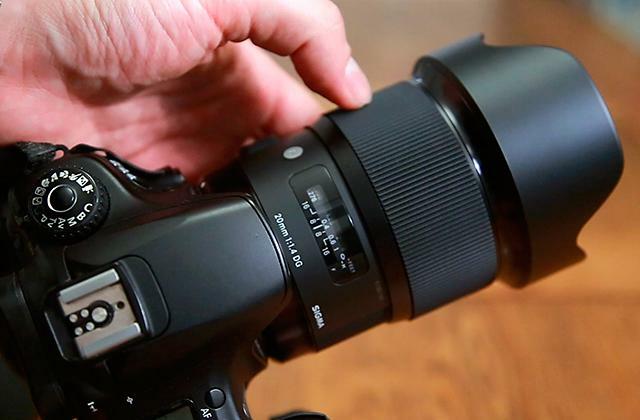 It doesn’t have the flashy features of the more expensive counterparts, but it does what you need at little cost. If you don’t want to spend too much on a wireless receipt printer but still need a decent machine to make your payslips and such, take a look at the Alacrity AI-58I. 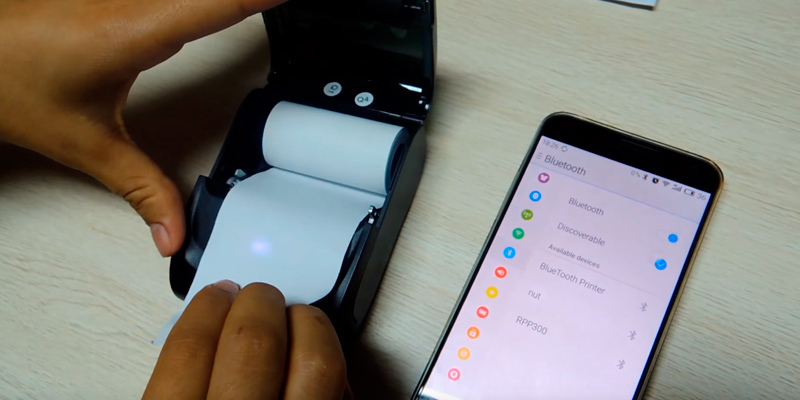 This device is fitted with a long-distance Bluetooth system and can be used with some of the most popular payment systems to print out checks and tickets easily and cleanly. The gadget can be connected to Windows, Android, or even Linux easily and set up in a way that lets you conserve energy and time. With options such as auto sleep and auto awake, the device will shut down and turn back on as needed, requiring no input from you. 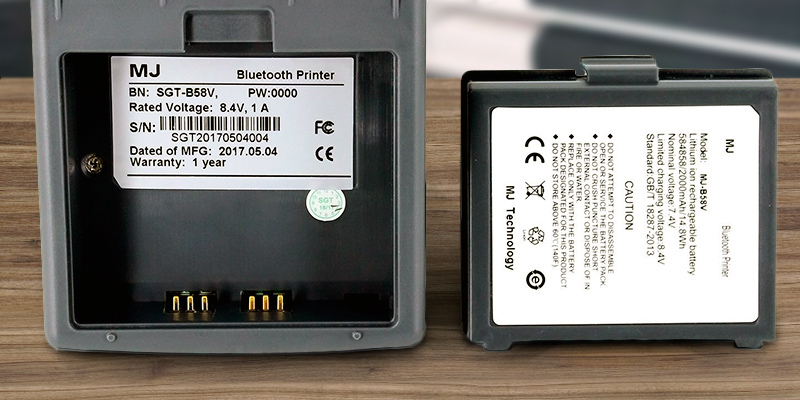 A handy indicator will show when the machine is on and ready to print and the solid battery should hold enough charge to last up to 3 days. Sadly, the Alacrity AI-58I doesn’t seem to work with iOS or be compatible with Mac, which limits your options and, arguably, its portability as iPads and iPhones are the most popular choice for restaurant management nowadays. Of course, you can just as easily use an Android tablet or phone. The system supports nearly all of the main payment services, excluding PayPal, which has many viable alternatives anyway. This mini-device might not have the broader capabilities of the expensive models but it’s absolutely good enough to use for receipt printing. 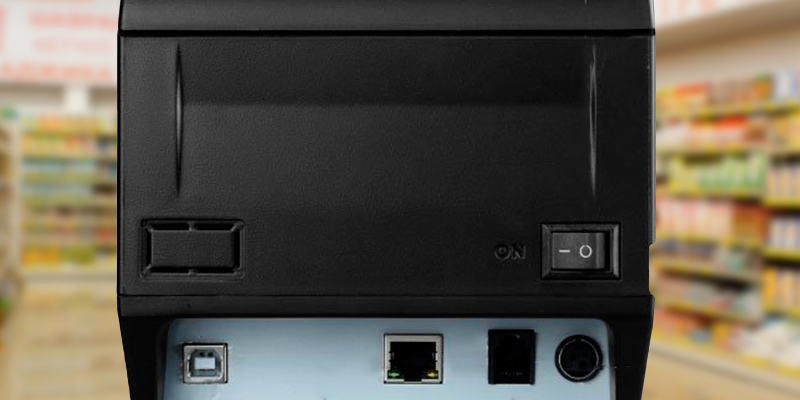 The Alacrity AI-58I may be a Bluetooth thermal printer, but it can also be connected to a device via a USB cable if needed. 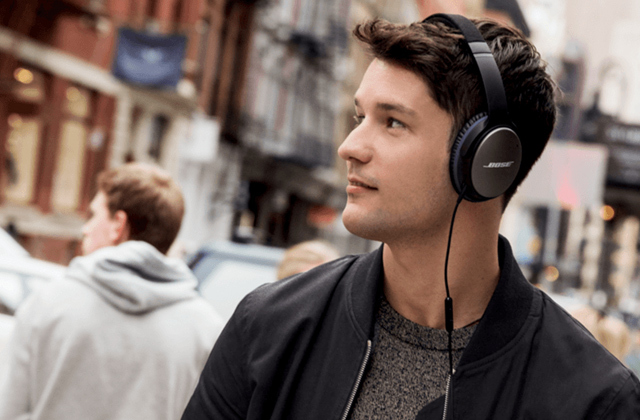 This versatility can come in handy if your Bluetooth connection is interrupted or broken for some reason. This backup feature might just help you out in a tight situation. The device can print at up to 90 mm/sec, not the most impressive speed but absolutely sufficient to make tickets, receipts, or anything else that your business may require. Printing on 58 mm thermal paper, the machine saves you money on ink cartridges and uses little energy, staying online for several days at a time thanks to its powerful battery of 1500 mAh. Included with the purchase is a leather pouch that you can strap onto your belt, so you can keep your hands free while still having the device on you. You also get the drivers necessary to set up the gadget, though do note that they take a while to install. Be sure to leave some time for the initial process so that the device can be set up properly. Those minutes might seem long to you but they are nothing compared to the time you’ll save by having a receipt printer that works with no errors or paper jams. 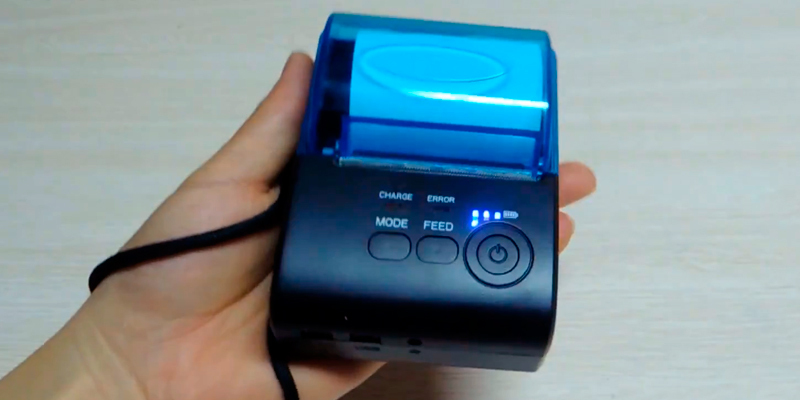 The Alacrity AI-58I is a decent choice of a portable receipt maker and it’s very inexpensive, combining impressive performance with solid quality. 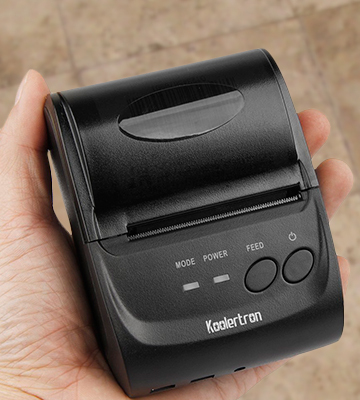 One of the smallest and most affordable models of receipt printing devices is the Koolertron 58mm Portable Mini Thermal Printer, a compact and well-equipped machine. 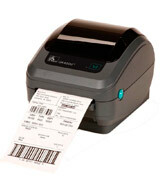 This wireless thermal printer can create many varied payslips, tickets etc. 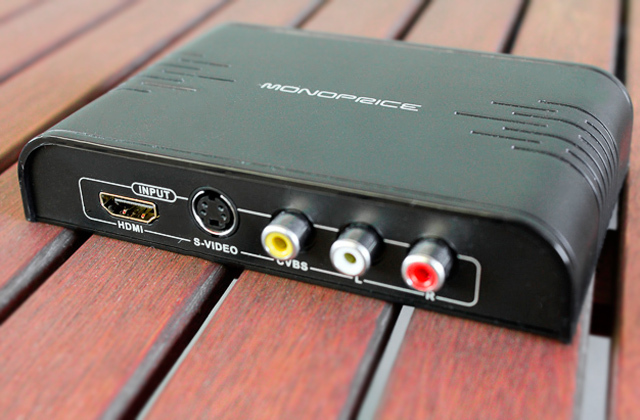 with no hassle and no need to buy ink cartridges or deal with multiple long wires. 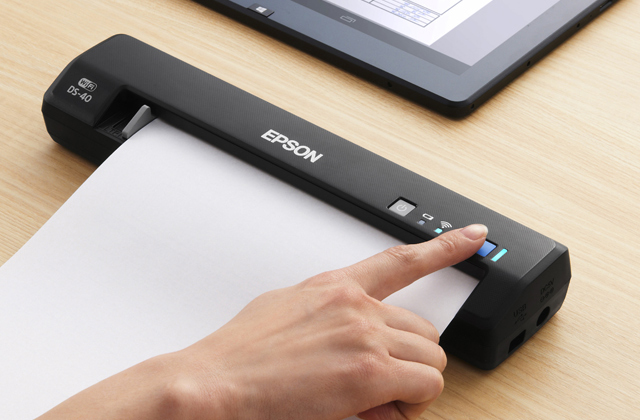 This printer works with Windows, Android, and iOS, though tests seem to show that Android is the optimal choice of operating system for this one. Windows is great to use too, but this model’s tiny size and portability are great advantages and connecting it to a PC or laptop would restrict you somewhat, unlike an Android phone or tablet. 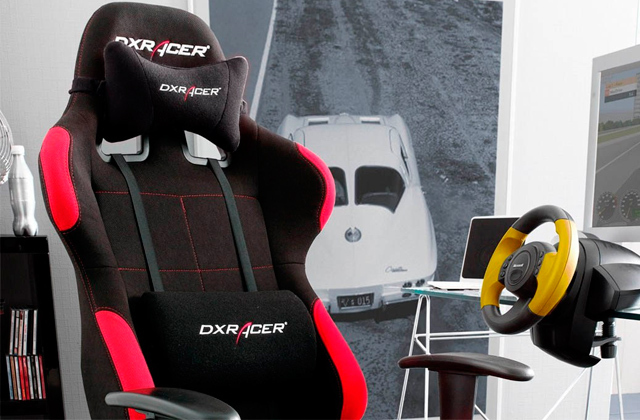 Especially if you plan on using it in a less conventional environment, like taxis, post offices etc. 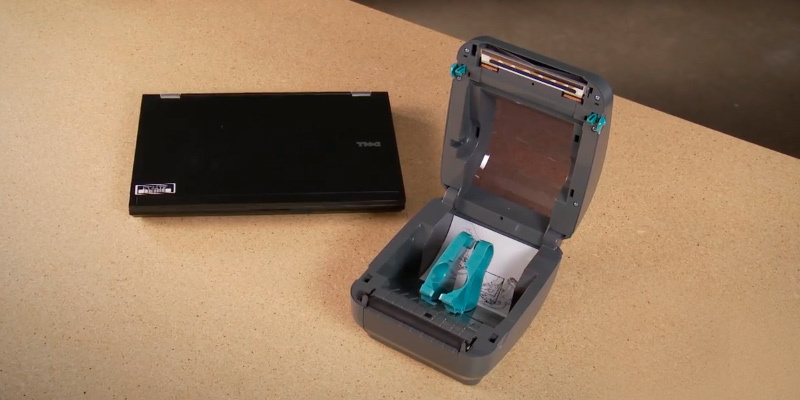 The device comes with all of the necessary failsafes and safety measures like the paper and power indicators to keep you from using up the whole roll with no backup and trying to use the machine when it’s not on. 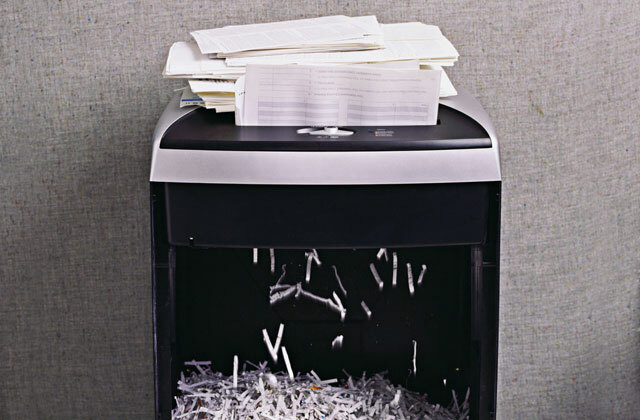 Moreover, there is a manual shutdown option in case of a paper jam or some other unusual issue. That way you control the printing process and decide whether to proceed with a faulty receipt. And, to use this gadget whenever you want, get a good solar charger. As its name suggests, the Koolertron 58mm Portable Mini Thermal Printer only uses the 58 mm paper rolls. The machine prints at a decent 90 mm/sec using ESC/POS commands, the standard method for most models. Of course, the device is equipped to handle the alphanumeric characters but it can also print Chinese Kanji, if a need for that ever comes up. 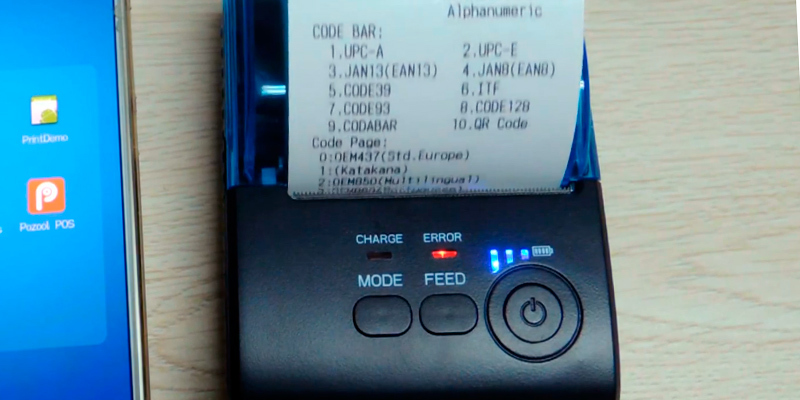 The battery on this mobile receipt printer is 1500mA, which should be enough for up to a week in standby mode. That’s a very good charge that rivals some of the more high-end competitors quite easily. You can take this around on taxi drives and use it for a whole week without the need to recharge. Among the few downsides is the device’s inability to integrate with PayPal and Square, two rather popular systems, though most people paying with a credit card can use other services instead of these two. There is also an easy-to-miss notification that using this machine with Android devices will require you to create your own custom software for printing, which means you’ll incur an additional cost. It won’t be too substantial, of course, but this still complicates the setup process a bit. Though, perhaps, professional help is something to appreciate when dealing with delicate gadgets such as this. 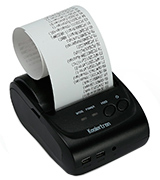 So, if you need an affordable and decent receipt maker, theKoolertron 58mm Portable Mini Thermal Printer is a solid choice for those that are always on the go and need a tiny device to help them do business. A receipt is a basic document confirming a purchase. There is a variety of devices that print a payment confirmation that a seller must give to a customer. A receipt printer (or a thermal printer how it is also called) is one of those devices. Unlike CRT (cash register terminal), you do not have to register a receipt printer or sign a service maintenance contract. 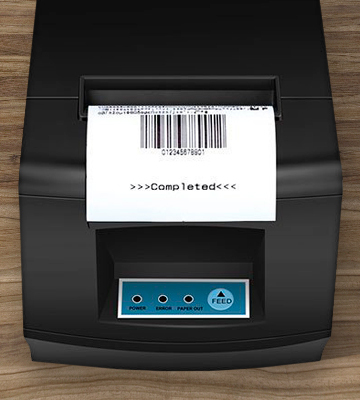 Receipt printers are connected to a master device that will send a signal to print. There are also wireless models. The software of receipt printers is compatible with most types of POS System software. The main advantage of thermal receipt printers is a high printing speed, a perfect feature to print a small volume of information. There are several kinds of receipt printers. Their operation peculiarities result in different printing speed and options. 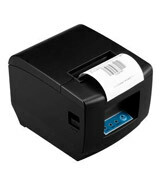 There are receipt printers you can use to print sales slips, tickets, coupons, delivery routes, and many other things. The receipt printers can be used in a restaurant business for quick printing of orders to save your time and enhance the efficiency of service. We are going to tell you about the most helpful devices in this receipt printers review. If you have no spare USB ports to plug additional devices, please look through our USB hubs review. 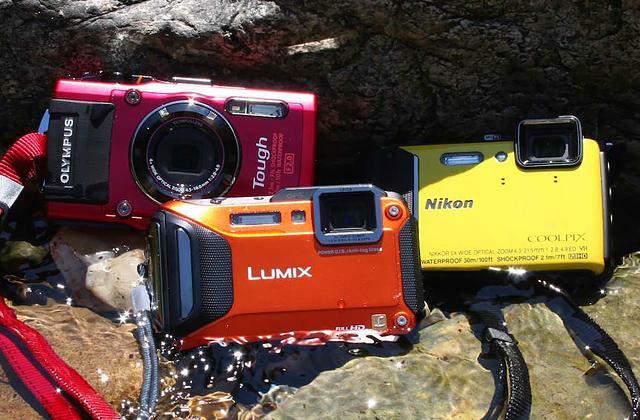 For printing texts and photos, consider buying an inkjet printer. The primary purpose of a receipt printer is a swift printing of high-quality invoices. To choose the device you require, you should, first of all, consider its Printing Options. 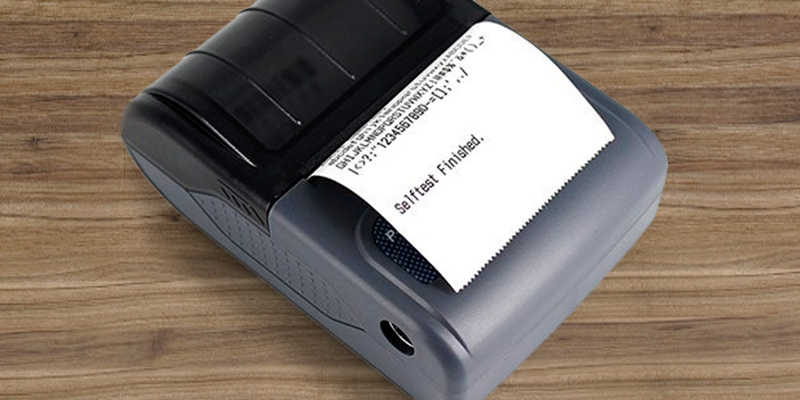 A thermal receipt printer uses heat to create an image on a special thermal paper. Thermal receipt printers provide the highest printing speed and can print graphics and company logos. There is a wide variety of receipt printing devices to choose depending on your targets. Each model has its own printing speed, the higher this index is, the sooner you will have your data printed. A high printing speed will save you time, you will hand a receipt to your customer or print a payslip in mere moments. There are two main paper formats, 80 mm and 58 mm. Most receipt printers work with both sizes, but some can print on 58 mm paper only. Some models have additional options for redesigning your receipt and printing a logo. Everything depends on the operational characteristics of your device. A receipt printer is not an autonomous appliance. It needs a connection to a computer or another controlling unit that will transmit the signal to print. That is why you should consider its Software Compatibility and Interface. Let's start with the interface. There are different kinds of cables to connect the device to a computer. USB is most commonly used but some models have other plug-type connections for wider options and connections. It stands to mention that there are wireless receipt printers, they need no cable to be connected to the transmitting device. They are perfect in cases when there are more than 10 meters between the devices. As for software compatibility, your transmitting units should support the receipt printer's drivers. All manufacturers list software systems their device is compatible with. Please, make sure that the receipt printer you are going to buy has the appropriate software, and you will avoid problems with its settings. Thermal receipt printers have a variety of additional Conveniences. One of the most important options is a quick replacement of a paper roll. It will help you save cashier's time and prevent from queue forming. An auto cutter will help you detach the receipt neatly and easily. Almost all such printers have a paper scrolling button, and some of them support cash drawer driving to save time while giving the change. All these conveniences make the receipt printers easy-to-use. Nowadays, receipts are so commonplace that most consumers don’t even think about them much at all. Buy anything from a pack of chewing gum to a car and you get a receipt, occasionally coupled with voluminous paperwork. Some people throw out their receipts immediately, regarding them as completely useless. But back in the BC days, these slips of paper were invaluable and highly important. Paying your taxes was enforced very strictly and it wasn’t enough to just give the authorities the money, you had to be able to prove you did it after some time. So the receipts for your taxes were the only thing keeping you from severe punishment for tax evasion. Right now, the oldest unearthed receipt seems to be dated sometime in BC. It was issued for, perhaps somewhat predictably, livestock, namely sheep and a lamb. However, there is this one little difference between the modern receipts and their ancestor - the latter was made of clay, just a little square with some writing done in pictorial form. And though these days it would seem like a perfectly silly way of bookkeeping, this piece of clay was vital to keeping your purchase. If authorities showed up and you had no means to prove that you bought the livestock, you could be put on trial for stealing. Thankfully, the laws are not as strict these days, though receipts are still an invaluable tool for accountants and bookkeepers. As is the case with many of our favourite modern conveniences, receipts reached a new palatable form back in ancient Egypt. Papyrus payslips for cattle, grain, and even beer have been discovered from around 1270 BC. At that point, though, laws were a bit laxer and you didn’t need to keep strict books including every single receipt. This was more of a domestic convenience to keep track of what you spent your money on. A change, however, was on the way. Receipts were about to become as important as they are now. As international trade and travel grew, merchants and noblemen would move between countries and buy up valuable imports. That, of course, required money and it was decidedly not sensible to carry a huge sack of coins on you. That’s where receipts came in: you’d visit your local banker, deposit your cash and get a receipt in return. Then, reach your destination, visit a banker there and get your money minus a small fee. This opened up a lot of possibilities for safer trade and made receipts relevant again. The invention of the printing press made writing the payslips easier but it still took quite some time and a lot of people couldn’t be bothered to wait. So the National Cash Register corporation started to create the early versions of the modern cash register. In 1969, thermal paper was invented, eliminating the need for ink and cutting down on costs. That opened the floodgates real quick and, in no time flat, every purchase came with a swiftly-printed receipt, all thanks to the thermal ink printer. And the market couldn’t be happier. 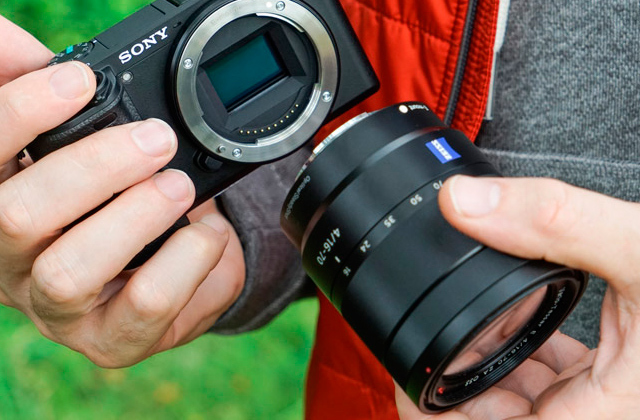 Q: Why opt for a thermal model instead of a regular one? A: The thermal printing devices do not need to have new cartridges of ink put in every so often. This means that you won’t have to spend more money on buying the ink to keep your machine running. Considering the price of these cartridges, this could save you quite a lot of money. Q: What’s the average printing speed of a thermal device? A: The consensus is somewhere between 100 mm and 225 mm per second, but, of course, you can find models that go faster as well as those that are slower but likely much cheaper. Q: So are there any extra expenses for thermal printers that I should know about? A: Thermal models do need thermal paper, as it’s specifically designed for these devices and the regular rolls will not be suitable. This paper is a bit more expensive than the regular one but you still end up saving money when using a thermal printing machine due to the steep cost of ink, required for regular printers. Q: Will I need professional help to set up my thermal printing device? A: Not usually, no. For the most part, these machines are easy to set up and they come with instruction manuals that should be comprehensive enough to help you out. Q: I’ve run out of paper. Do I have to replace it myself and is it safe? A: Yes, you can simply put in a new roll yourself and it’s completely safe for you. Though you do have to be careful not to damage the delicate elements of the device. Just be gentle when inserting the paper roll and you should be fine. Q: Does the printer have to be off for me to replace rolls? A: Yes, you must turn off the gadget before you open it, even if you’re not printing anything at the moment. Always check to make sure the machine is off before you start putting in a paper roll. Q: My receipts are all blank! What happened? Is the machine broken? A: No, the device is likely fine. The most common cause of the printed paper being blank is the roll being loaded in reverse. Thermal paper is structured in such a way that it will only work when loaded on one particular side. The easiest way to make sure you are inserting the roll correctly is to scratch lightly at the paper and, if a black layer comes through, that’s the side you want to be using. Q: I see three measurements for paper rolls, what are they? A: The rolls usually have three key dimensions: width, outer diameter, and inner diameter. Always check to make sure that these parameters match the ones supported by your device. Q: So is thermal paper generally all the same except for these measurements? A: The thermal rolls have another important parameter about them, abbreviated as CSI and CSO. These stand for “coated side in” and “coated side out”, meaning the side that has that black layer that you need to look for underneath. Don’t mix up these rolls or you might experience the aforementioned issue with blank checks. Q: How long will receipts printed on thermal paper actually last? A: Anywhere from 1 year to 7 years, it all depends on the quality of the brand. The best ones boast up to 10 years, but that might not even be required. Anything with over 4-5 years is great. 2. 2 Easy Ways to Set Up a Wireless Printer Connection, wikiHow. 3. Invoicing and taking payment from customers, GOV.UK. 4. Consumer Rights, Consumer Council. 6. Consumer Rights Act 2015, Legislation.gov.uk. 8. Your new consumer rights explained, BBC News.